In this blog I will show you how to setup ActiveMQ resource adapter in JBoss EAP 6 and then test different redelivery policies. Before we begin, we need to download the latest Apache ActiveMQ binaries and unzip it. To start, stop and check status we use the activemq script located in the bin folder. 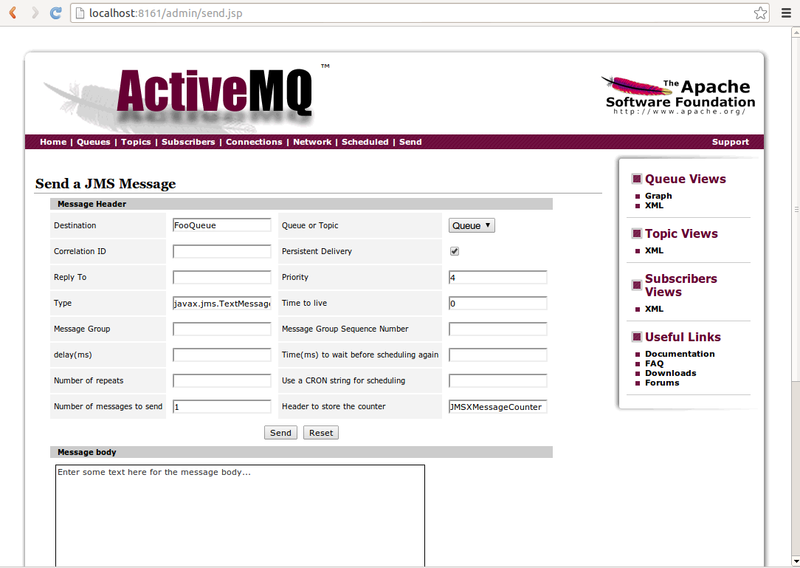 After started the ActiveMQ, we can test the installation by open a web browser and open http://localhost:8161/admin/. The default username is admin and default password is admin. Now we need to configure JBoss. In this blog we will use JBoss EAP 6.1.0. Download it and unzip it. 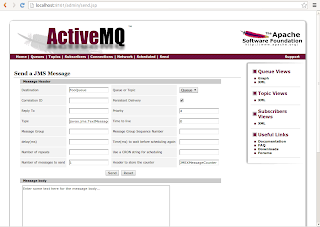 The next thing we need to do is to download the Apache ActiveMQ resource adapter. You can find it from maven central repo – http://search.maven.org/remotecontent?filepath=org/apache/activemq/activemq-rar/5.8.0/activemq-rar-5.8.0.rar. JBoss EAP 6 can be run in two different modes – standalone and domain mode. In this blog we will be using standalone mode, but if you need to run JBoss in domain the below configuration is basically the same. The last thing we also need is to configure mdb support for the standalone configuration. Now we are to test the installation. We do that by creating a simple MDB, that prints out incoming JMS messages and then rollbacks the MDB transaction. Very useful - thank you. I was really struggling with getting ActiveMQ to work with JBoss 6 EAP until I saw this. Not done it yet, tho.